Sports Massage is a direct, targeted type of massage, which will be applied to a specific area of the body to facilitate the activity of the sportsman, aid in recovery from a sporting activity or to help treat an injury. The Target Massage practitioner will use a variety of strokes and techniques along with a detailed knowledge of the muscles and their actions to treat musculoskeletal imbalances and trauma. Sustained application of pressure on a particular spot that works with the bodies ”reflex effect” to release hypertensive areas found within muscles. The collective name for techniques that stretch, strengthen muscles or help break down fibrous adhesions found within muscles. These techniques use the patients’ own effort and movement to treat the problem and include Post-Isometric Relaxation (PIR), Reciprocal Inhibition (RI), Soft Tissue Release and Strain-Counterstrain (SCS). Kinesiotape or K-Tape is the name given to the elastic therapeutic tape first developed by a Japanese chiropractor Dr. Kenzo Kase in the late 70’s. There are now a number of different manufacturers of K-Tape such as KT Tape (the first from Dr. Kase), Rocktape or SPORTTAPE. It is applied to the skin above the surface of the muscles that are either injured (strained) , overworked or to areas of the body carrying too much water (Odema). The tape gently lifts the skin and connective tissue around the muscles whilst still allowing them to move. It is acting as another layer of skin in some ways. This helps to improve local circulation which helps to reduce pain by quietening the pain receptors beneath the Dermis, reduce inflammation and Odema by allowing better flow through of fluids in the area which in turn helps to speed recovery. These multi coloured tapes are applied in different directions with different tensions and using different widths to achieve the desired result. They are now a common sight on athletes of all types. 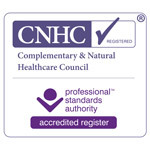 We use them in clinic on people of all ages and activity levels. Taping and Strapping is the application of tape or adhesive bandage to various body structures such as the ankle, knee, wrist, thumb or shoulder etc. It has a number of purposes such as: enabling a partially injured sportsman to continue in a game (rugby and tennis are good examples here); to enable an athlete with a weakened structure to compete (football and tennis are good examples here). Or to assist in the recovery of an injured structure by securing it and preventing some of its movement during the early stages of its repair (this can be used on both sports-people AND non sports people who have injured themselves in some way). 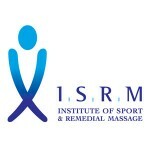 Sports Massage is available in South London at Chelsea and Clapham, and in Cambridge. Home Visits by appointment are from £90 for an hour and £120 for 90 mins. Discounts are available if more than one client at one address.